1995 Chevy S-10 Blazer - 4.3 L Vortec V6 (vin W with PCM) - 230,000 miles original owner. OBD-I (or 1.5) GM transitional year with OBD-II style connector. The vehicle is running pretty good now, but what was an occasional run-on ("dieseling") is now happening all the time. Just within the last few days it went from run-on only after driving for extended periods or very hot... to dieseling nearly every time I shut it off. By "run-on" or "dieseling", I mean that the car sputters for a second or two after turning off the ignition. Diagnostic Trouble Codes - No current or pending codes. Everything seems to be running normal as per live scan tool. Engine Timing - Disconnected "timing wire" from PCM and timing was 10 degrees retarded. Adjusted timing to 0 TDC as per GM spec and reconnected timing wire. ICM (Ignition Control Module) - removed and tested good at AutoZone. Brand new as part of new distributor assembly. Pickup Coil - tested good. Putting out 1.0 VAC when cranking. Reading 800 Ohms across and infinity to ground. Brand new as part of new distributor assembly. Distributor Cap & Rotor - Brand new as part of new distributor assembly. Timing Chain - Inspected timing chain slop and only found 3.5 degrees of play where 3 to 5 degrees is acceptable. Vacuum Leaks - I've visually inspected all vac lines/hoses and sprayed a little carb cleaner looking for leaks. Could not find any leaks, but changed some really old looking hoses anyway. At idle, vacuum initially reads 17 psi, and after the engine warms up, it drops 1-2 psi and holds steady at 15-16 psi. Air Filter - changed 1 year ago (5000 miles). Spark plugs - Brand new stock AC/Delco plugs properly gapped to 0.045" as per manual. Wires - Replaced with Bosch. Ignition Coil - Tested bad and replaced with an MSD. EGR (Exhaust Gas Recirculation) - inspected and tested good. 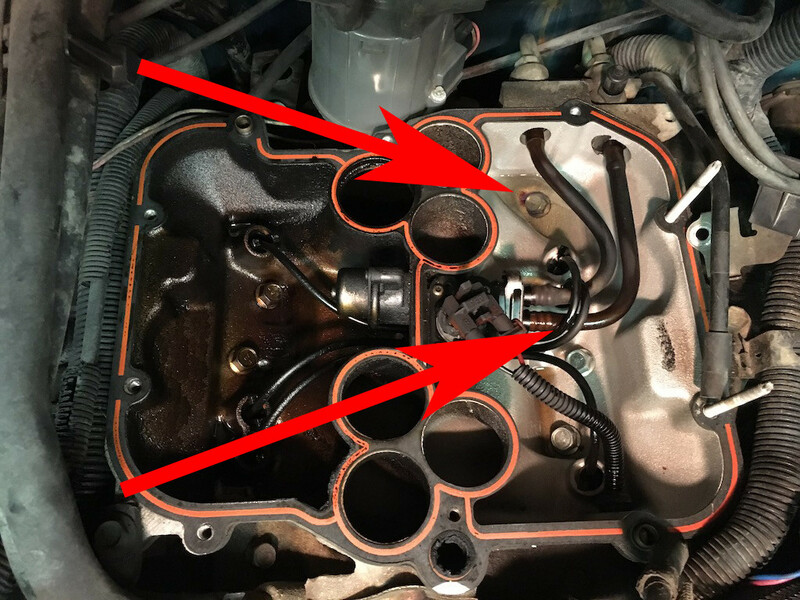 Intake manifold port is also not clogged as per this procedure. EGR is also protected by screen style gasket. TPS (Throttle Position Sensor) - inspected and tested good as per this procedure. MAP (Manifold Air Pressure) - inspected and tested good as per this procedure. IAT (Intake Air Temperature) - could not find a specific test, but resistance reading goes up as temperature goes down. MAF (Mass Air Flow) - this model year/engine does not have one. PCV Valve - inspected and working. Exhaust Restrictions - exhaust system is clear from front to back. All new gaskets and a new muffler. 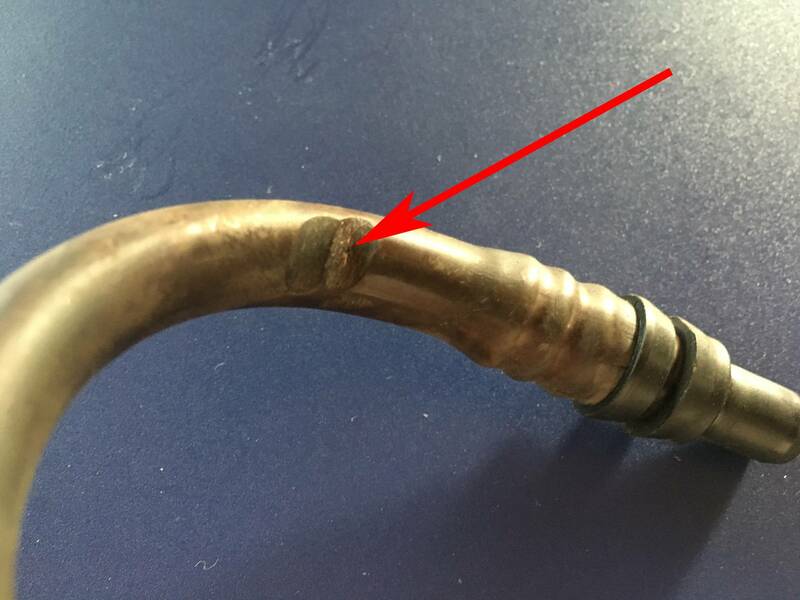 Oxygen Sensor - Not working properly as per live scan tool and replaced. 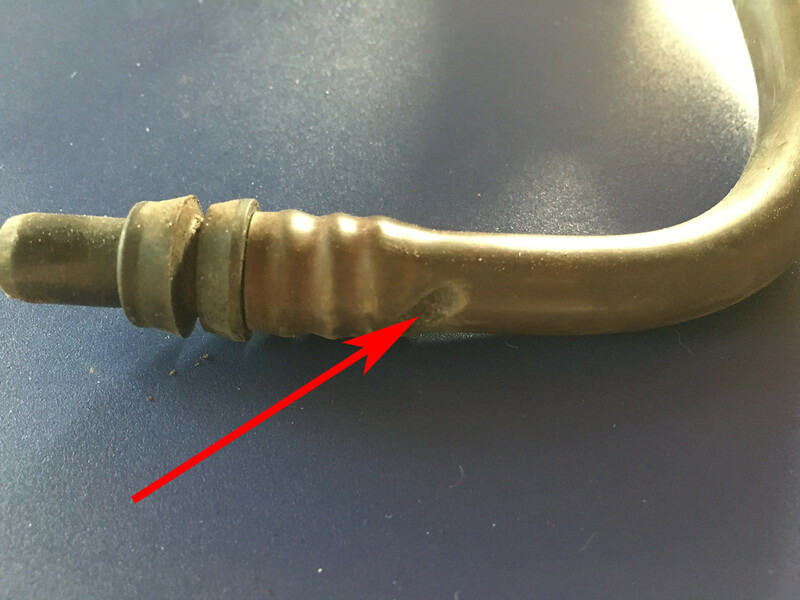 Knock Sensor - Passenger side tested bad as per resistance testing and replaced. Cooling System - Replaced radiator, hoses and thermostat. Radiator was leaking and thermostat was too slow to open or sticking closed. Cooling system is now properly regulating temperature as per stock thermostat. I previously noticed more run-on only when engine was hotter, but in recent days, it does not matter. Evaporator Canister Purge System - The GM service manual points to this as the typical cause of "dieseling". However, I disconnected the line from the canister to the engine and the run-on ("dieseling") problem continued. Since disconnecting had no effect, I hooked it back up. Although everything above was worked on within the last six weeks, I've done nothing at all in the last two weeks or so... yet suddenly only in the last few days, it went from almost never dieseling to dieseling all the time. In other words, although I've worked on a lot of items, nothing was done just prior to this problem getting worse. So what's left? Carbon build-up in the engine? It ran very rich for a long time thanks to the bad distributor, but the carbon should be clearing itself out... and the run-on should not be getting worse, but it is. EDIT (July 2015): One of my theories is cylinder #6 with the highest compression is the root cause. Cylinder #6 had a spark plug with a broken insulator at the tip that I believe happened sometime last year. Combine the poor spark with the retarded timing (running rich) for several months and #6 is likely extremely dirty. From my online research, I've read that thick carbon build-up cracks apart and the edges glow red hot, which can cause dieseling. Perhaps now that the engine is timed and running closer to spec, the carbon deposits are breaking apart which creates even more cracks with edges that glow red. It will just take time to clear itself out. Thoughts? Remaining roughness in the idle was finally tracked down to a loose heat shield that was intermittently shorting out the spark plug boot for cylinder #4. No doubt the excess fuel in #4 was contributing to the run-on issue. It also took 3,500 miles of highway driving and some internal steam cleaning, but it's finally running smooth without any run-on. It wasn't long after my last edit that the overall roughness came back with a vengeance. White exhaust smelled of gas and I was completely out of ideas... again, the leak-down test kept hold at 60 psi with no drop whatsoever. Fuel mileage suffered and back-firing ensued. Many months of frustration passed and I didn't know what else to check. It suddenly got so bad I decided to check fuel pressure once again... FINALLY, the leak-down test is showing a massive drop in pressure, from 60 to 20 psi within seconds. Notice all the liquid fuel accumulation on the driver's side in the rear. Also notice the wetness near where the pressure side of the Nut connects to the Spider. I ended up not installing the rebuilt Spider because it was defective (Rock Auto, rebuilt by Auto-Line). I reinstalled my old Spider, which was functional and holding fuel pressure. Now to explain the last piece of the puzzle... why during all these many months of rough idle, dieseling, and backfiring, did it always "pass" any/all leak-down tests? As you can see in the next photo, there was also a pinhole worn into the return line. The return line is never part of a leak-down test because it's only used when the engine is running. It was only after a second pinhole wore into the pressure line that the leak-down test revealed a problem. Referring to my GMC manual, I see no "official" procedure for testing fuel pressure while the engine is running. I can look at pressure while the engine is running, but I could find no published specifications or tests. FWIW, according to tech support at Auto-Line, pressure while running should maintain itself between 55-60 psi. Since the return side simply dumps back to the tank, I'm not certain that testing pressure even while the engine is running would have revealed any information about leaks on this side. Anyway, despite the other real issues I found and fixed, the vast majority of my dieseling, rough idle, and back-firing was caused by internal fuel leaks all along... first on the return side and then later also on the pressure side. Too bad the initial leaking started on the return line, where a standard leak-down test would never reveal this. IMPORTANT: The fuel "leak-down" test will NEVER be able to reveal a leak on the gasoline return line. With everything else functioning properly, the return line can only exhibit its leak(s) while the engine is running. AFAIK, there is no test that can detect a leak on the return line, leaving only a visual inspection based on symptoms. Click here for more detailed information about the leak-down test. I think your idea you are having a major carbon buildup is a good theory. You can try and get rid of the carbon by doing a Seafoam treatment. You mentioned are in the process of running a bottle of Techron through it. While this will help if you are using it all the time, it won't do much for a huge carbon buildup. Also, I believe you have carbon buildup in more than one cylinder. If it were only one cylinder, there wouldn't be enough power to keep it dieseling on. You might get just one kick-over from the single cylinder, but that would be about the extent of it. The engine wouldn't get past the compression a second time. The Seafoam treatment should do the trick for all of the cylinders though, so have no fear. Not the answer you're looking for? Browse other questions tagged engine chevrolet rough-idle blazer dieseling or ask your own question. Acceptable amount of slack in a timing chain with high mileage? What is an acceptable amount of up/down play in a distributor shaft? 2000 Ford Focus, low idle, stalling at lights, white smoke from exhaust - P0171 Code - problem?